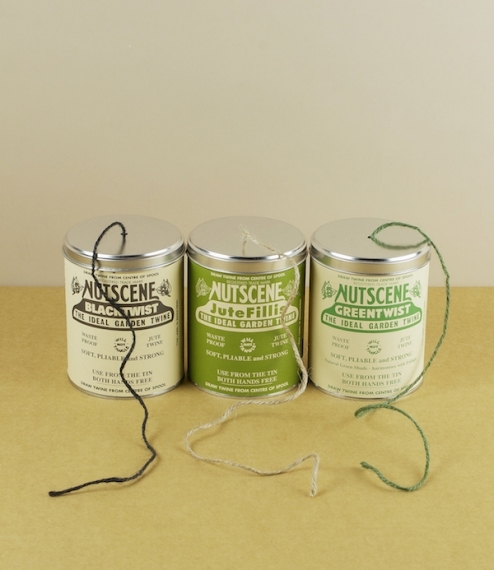 150 metre spools of black, green, or natural 3 ply jute twine from the Nutscene company of Angus, Scotland. Still spun and spooled on the original machinery installed at the company's Breahead Works in 1922, an era when almost all the worlds jute passed through the mills of nearby Dundee. Although intended as refills for the famous and very handy ‘Tin o’ Twine’ these are bought and used just as often a stand alone centre pull spools.